As spring arrives, you may be eager to escape your dorm, classroom, or office. 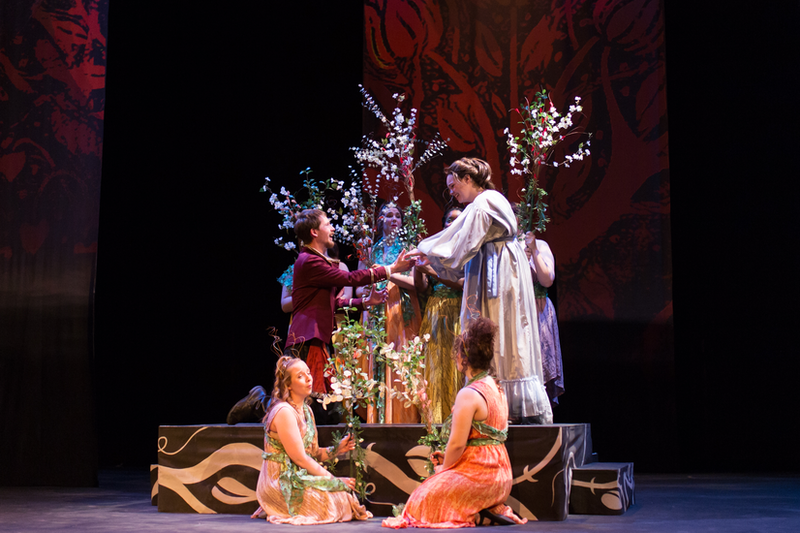 The School of Music, Art, and Theatre presents several upcoming opportunities to break from your routine, including the Chamber Opera. April 12 and 13 at 7:30 pm, in the beautifully renovated Hanson Hall 202, North Park’s opera program presents a double bill—one seldom-performed modern opera and one old favorite presented in a new way. The two features are Humperdinck’s Hansel und Gretel, the familiar story of a brother and sister lost in the woods who encounter and eventually outwit a witch, and Argento’s The Masque of Angels, a humorous story of an unruly troupe of angels who attempt to influence a young couple to marry. Spring 2018 Opera Production of "Cendrillon"
Other upcoming events from the School of Music, Art, and Theatre include the spring play, Tender Rough Rough Tender by Sarah Saltwick, described as a “. . . play built for theatrical gestures and two performers with nerves,” showing April 4, 5, 6, 11, and 12 at 7:30 pm, and April 13 at 2:30 pm in Lecture Hall Auditorium. 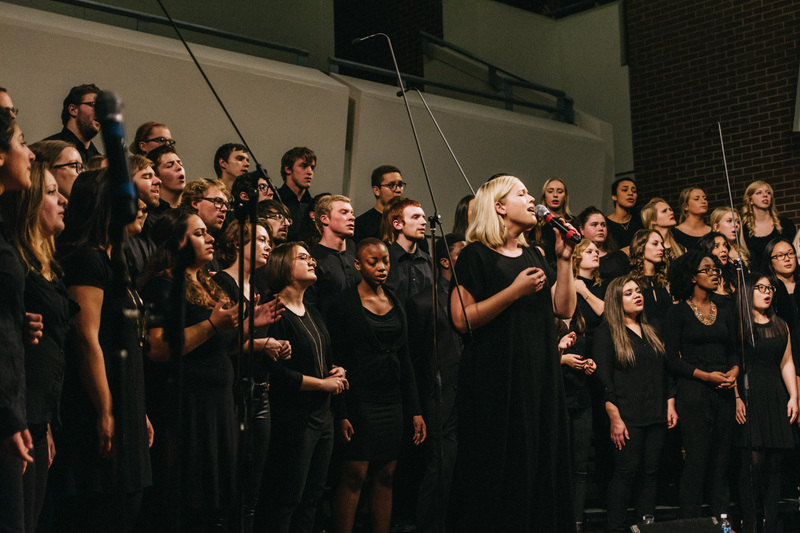 The Gospel Choir concert, April 6 at 7:30 pm in Anderson Chapel is always a very meaningful event for both the choir, and for the audience. And previously featured in Stories, but still well worth mentioning, are the Senior Thesis Art Exhibitions in the Carlson Tower Gallery, which feature the artworks of 11 senior art students and will run through May 11. Craig Johnson, dean of the School of Music, Art, and Theatre, emphasizes the importance of these upcoming productions saying, “I believe that all of these events allow our students to express their creativity, and to advance their development as performing and visual artists.